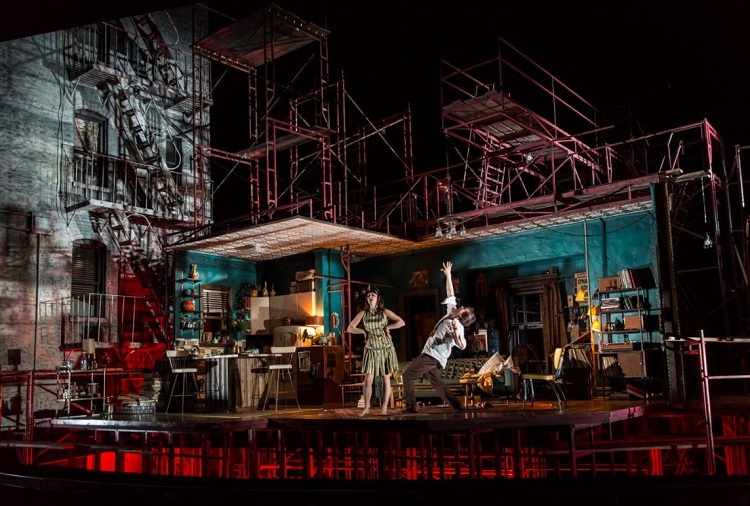 The Goodman Theatre’s new show The Sign In Sidney Brustein’s Window is not only their new production, but the centerpiece of a citywide celebration for Lorraine Hansberry. The playwright – famous for A Raisin In The Sun – was able to see Sign premiere on Broadway three months before her untimely death at age 34. It was her final work and is not often produced. Goodman’s willingness to showcase this piece is a bold move, as much of the audience will be unfamiliar. That said, they attempt to dive in with vigor. The set for this production is nothing short of spectacular. With it’s construction-like, Escher-esque design surrounding the apartment of our main characters, the audience is wowed with everything that there is to see. 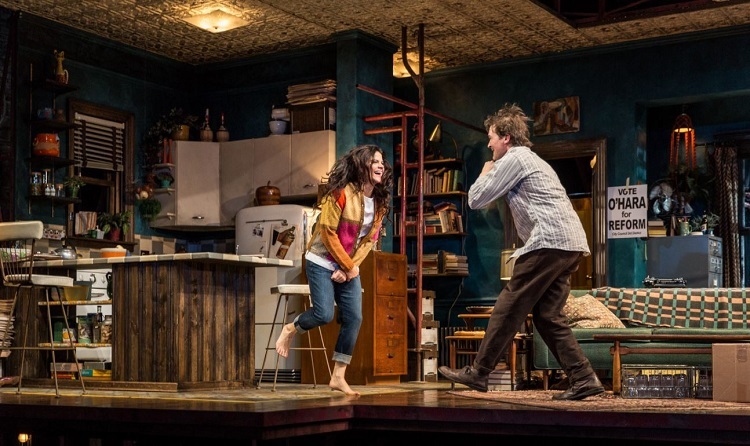 The colors stand out, all pieces of the set are utilized (often representing different floors and fire escapes of the apartment building) and the details of the apartment itself help you to understand the couple who lives there. Unfortunately, the rest of the experience isn’t as attractive. While some might feel that The Sign In Sidney Brustein’s Window comes at a time in our society where we are also experiencing heightened change and intolerance, it was tough to connect with the script. The story is about a mostly unhappy couple (with moments of wanting to love each other) who host a handful of friends and family throughout the show. The 2 hour 45 minute three-act play (two are before a 15 minute intermission, one follows) introduces you to three sisters (one of whom is a high-class prostitute, the second is our female main character and the third serves as the conservative). You also meet an activist (who is in love with the sister that he doesn’t know is a prostitute – he also happens to be African American, something that is not approved of by the conservative sister) and a writer (who also happens to be gay, and not approved of by the conservative sister) among others. And while there are a few amusing moments, it is very tough to care about any of them. To be clear, it seems that the actors do the best that they can with what they are given, but I find the script to be very dry and bulky – so much so that you eventually give up trying. There are some poignant moments between characters, but these are moments to savor because there aren’t many of them. 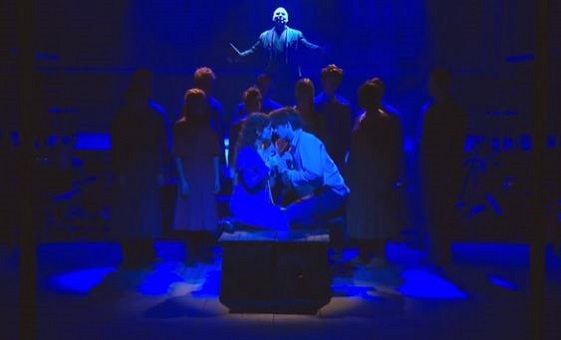 The sound, lighting and costumes also provide moments of interest, but I found myself desperately wanting more just to be able to connect with the show. With anything. 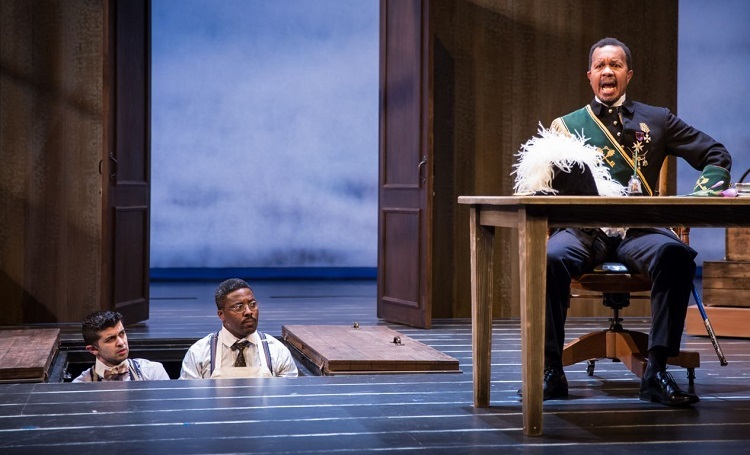 It is an honor for the Goodman Theatre to be hosting the centerpiece of the celebration for Lorraine Hansberry, so I can recommend this production if you want to try to connect with a piece of her glory. I hope you are able to find more of a connection than I was. 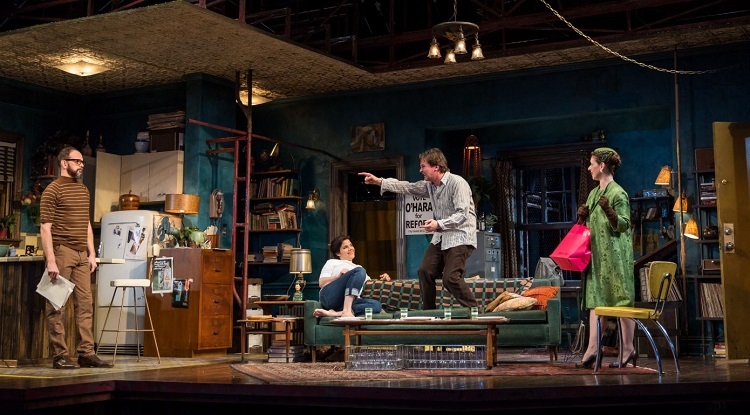 Goodman Theatre: The Sign In Sidney Brustein’s Window Chicago Review – The Sign In Sidney Brustein’s Window is playing at The Goodman Theatre through 4/10/16. Tickets can be purchased at a discount through Goldstar or by calling (312) 443-3800. Goodman Theatre is located at 170 North Dearborn in Chicago. When I go to the theatre, I want to feel. I want to laugh, to cry, be moved, be angry – I want to feel. 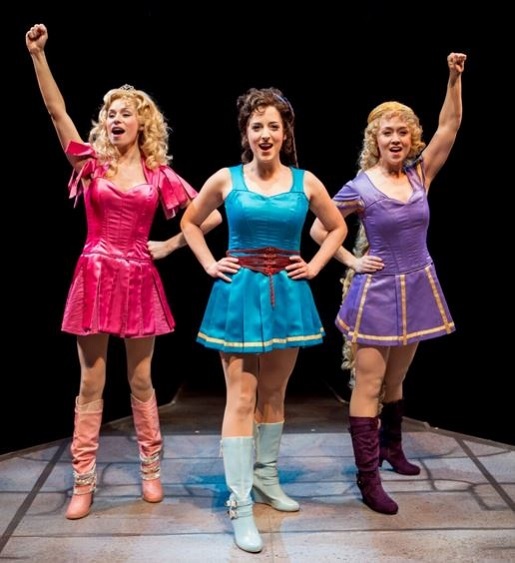 With the World Premiere of American Beauty Shop currently playing at the Chicago Dramatists Theatre, there is one thing that I can assure you of. You will feel. 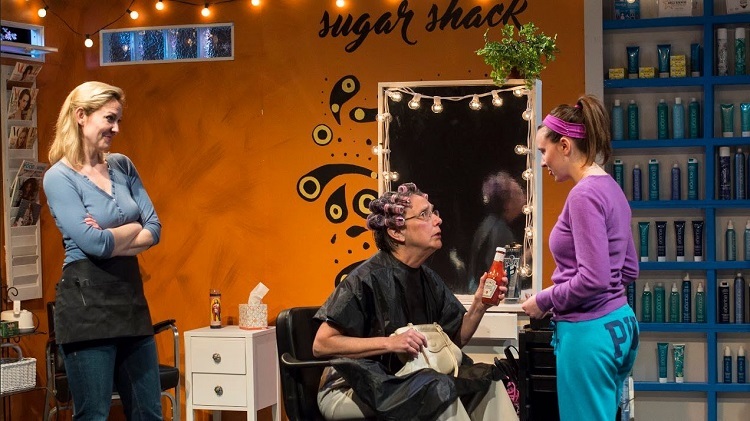 Written by Resident Playwright Dana Lynn Formby and directed by Megan Shuchman, American Beauty Shop is the story of five women, each suffering their own personal heartbreak and each trying desperately to pull themselves up by their bootstraps. To have more. To be more. And while that may not sound like the lightest comedy you’ve ever seen, this is a witty, hilarious and tragic play that will have you both holding your sides with laughter and holding your breath with emotion. All five of this entirely female cast had moments that made you laugh and made you want to cry. Katherine Keberlein plays Sue, the owner of the beauty shop, sister to Doll (played by Allie Long) and single mother of Judy (played by Allison Torem). Her friend and coworker Meg (played by Melissa DuPrey) serve entertaining clients like Helen (played by Barbara Roeder Harris), but business is waning and making ends meet has become increasingly difficult for all. At the beginning of the show we learn that Sue and Meg are hoping to become successful entrepreneurs by selling a line of hair thickener, Judy is waiting to find out if she’s been accepted into MIT, Doll has just broken up with her boyfriend and is fighting a hangover and Helen (a senior citizen and the one consistent client at the beauty shop) can no longer afford to continue her weekly visits to Sue. How to overcome the next hurdle becomes the central theme. The writing and pacing of this show is spectacular. All of the players have golden moments that have you so invested that you can hear a pin drop in the audience. The set and music fill in all of the gaps and encourage you to truly know these women. Everything gels just the way that you would hope it will. If you plan to go see one play during the month, I highly encourage you to go see American Beauty Shop. I promise, it will make you feel. 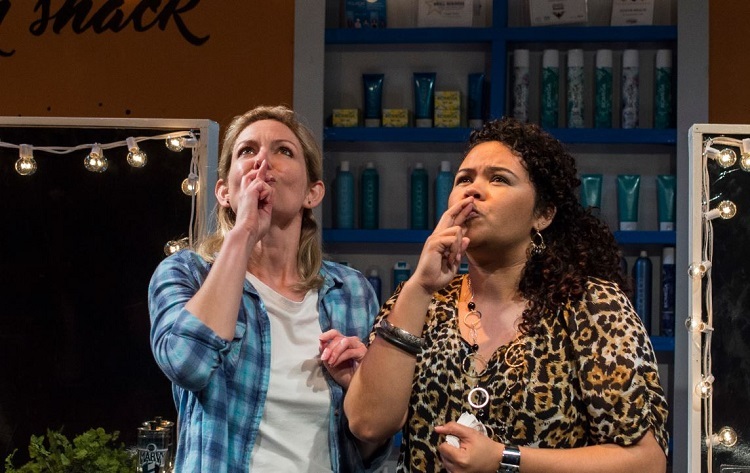 Chicago Dramatists Theatre: American Beauty Shop Chicago Review – American Beauty Shop is playing at Chicago Dramatists Theatre through 6/5/16. Tickets can be purchased at a discount through Goldstar or by calling (312) 633-0630. Chicago Dramatists Theatre is located at 1105 W. Chicago Avenue in Chicago. Austin Lesch has a sense of youth in his performance of Che that doesn’t always align with the angry and resentful words of the score, but he brings a powerful voice and endless energy to the show. (Look for several particularly standout moments during “And The Money Kept Rolling In” in the second act.) Larry Adams’ Juan Peron is full of emotion, awe and fatherly love for his Eva. While this role typically includes more manipulation with the people around him (including his wife), this was a refreshing take. Eliza Palasz’s Mistress (who singes the classic “Another Suitcase in Another Hall”) and David Schlumpf’s Magaldi each held their own in engaging portrayals. One other thing to note about this specific performance is the personality and quick changes that come along with Eva’s costumes. These moments were sometimes as enjoyable to watch as the show itself! During the first several songs (most of which she is on stage), Eva goes from being a young, poor, starry-eyed girl at a show to dressing up for a trip to Buenos Aires to a young woman in a negligee who is sleeping her way to the top. We see more quick changes later in the show as well – all of which feel like fun little gifts to the audience. This is a solid production that will have you humming well into the next few days and you won’t be sorry. For a woman who passed at only 33 years old, she had quite a life – and you won’t be able to stop singing about it. 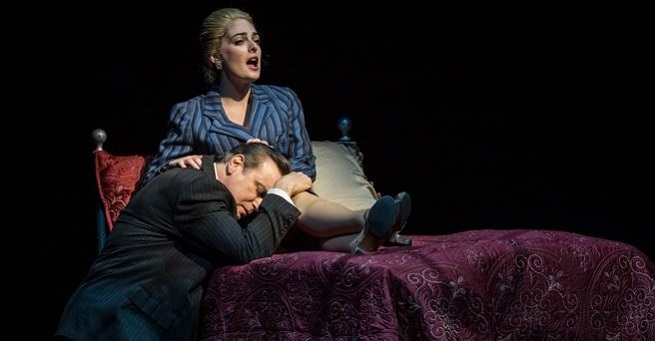 Marriott Theatre: Evita Chicago Review – Evita is playing at Marriott Theatre through 6/5/16. Tickets can be purchased at a discount through Goldstar or by calling (847) 634-0200. Marriott Theatre is located at 10 Marriott Drive in Lincolnshire. Hello, Dolly! is often the first thing that people think of when hearing of Thorton Wilder’s comedy The Matchmaker. 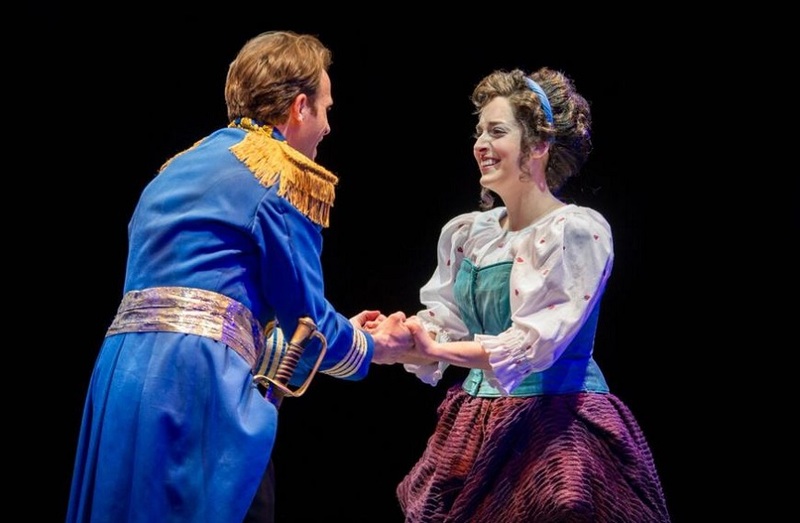 And while the Goodman’s production of The Matchmaker is entertaining, the acting entrancing and the costumes rich with flavor, the piece is sometimes lacking the same charm as the musical. The Matchmaker is a story about a cranky 60-year old single man named Horace Vandergelder (played by a gruff and feisty Allen Gilmore) who is looking to be married and the matchmaker Dolly Gallagher Levi (played by Tony Award Nominated actress Kristine Nielsen, whose physicality hilariously expresses more than words) who plans to marry him off – to herself. Upon leaving to meet a potential bride, Vandergelder leaves his head clerk Cornelius Hackl (a comical Postell Pringle) in charge of his shop and his other employee Barnaby (scene stealing Behzad Dabu). When the employees leave to have their own adventure and meet up with Vandergelder’s date Irene Molloy ( a strong and magnetic Elizabeth Ledo), hilarity ensues. The physical comedy and engagement with the audience brought the show to new heights. In one drawn out bit, Pringle’s Hackl slowly crawls along the floor so as not to be seen by another character. Milked for every laugh, this kind of physical comedy and relationship with the audience kept one enchanted through many moments. Also establishing a comfort level with the audience, the cast was peppered with racially diverse, physically challenged and transgender performers. A progressive move in such a way that it shouldn’t be progressive and will hopefully no longer be in years to come. In this reviewers opinion, this type of casting should be the norm and kudos to Goodman for casting talented performers without bias. 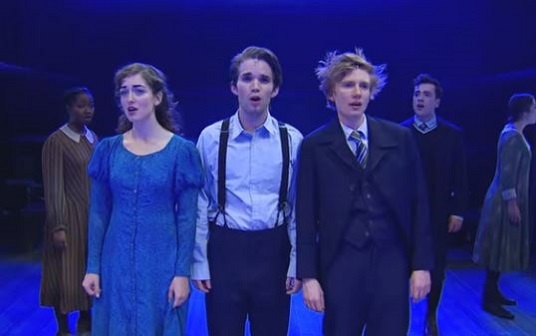 With all of the positive attributes of the show, there were times that felt very dry – particularly in the fourth act of the show (the second half of the second act). It is at this point that all of the cast members convene at Flora Van Huysen’s home (a quirky Marilyn Dodds Frank) to sort out what has happened, what should happen and who is who. Moments of this act are extremely entertaining and funny, but with the 2 hour and 45 minute play coming to a close, there are moments of exposition that felt unnecessary and sluggish. Granted, this is an issue to take up with Mr. Wilder himself, but since he’s not here to take to task, it’s potentially something that every production will struggle with. All in all, The Matchmaker is a show that will have you laughing both at the talented cast members and the script. 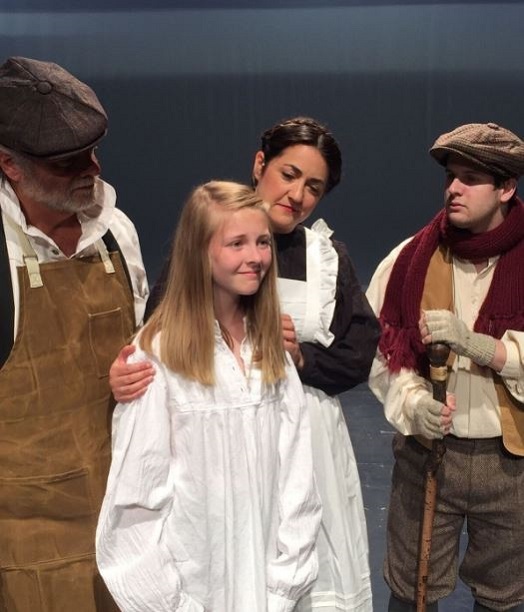 The physical comedy, snarkiness and slyness of the characters make for an entertaining experience, just be sure to persevere through the slower moments and the matchmaker will have done her job. 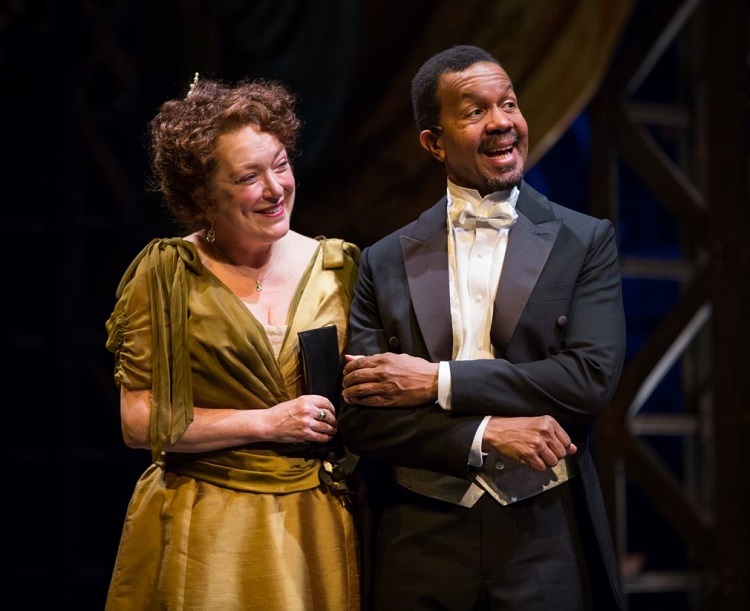 Goodman Theatre: The Matchmaker Chicago Review – The Matchmaker is playing at The Goodman Theatre through 4/10/16. Tickets can be purchased at a discount through Goldstar or by calling (312) 443-3800. Goodman Theatre is located at 170 North Dearborn in Chicago. As the Goodman Theatre curtain rises in the Albert, the audience meets Ciliana, the narrator of Another Word For Beauty. She is older; she is spunky; she makes you laugh. And so it goes for a few minutes – until you aren’t sure what you are watching. Another Word For Beauty is a slice of life show about a Colombian women’s prison called El Buen Pastor. For a few days out of each year, the women in the prison nominate and dress their cell block entry for a beauty pageant held within the prison walls. The winner gets nothing monetary or beneficial other than the love and reverence of the other inmates for the next year, but it is worth it just for that small scrap of societal normality. This show has so much information packed into it that I’m not sure it knows what it wants to be. At times it is hilariously funny. At other times the characters sing in melancholy song. Still at other times there are dramatic scenes or memories meant to pull at your heartstrings and moments later a discussion about political propaganda. Each of these could be a show in its own right, but together it is like trying to complete a jigsaw puzzle with pieces from a different box. This is not to say that the show is without talent. The cast of Another Word For Beauty does much with what they’re given. 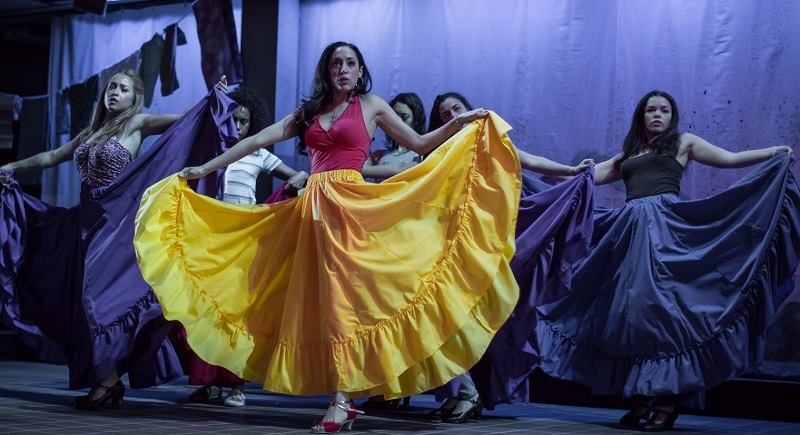 There were many moments where the audience roared with laughter – mostly due to the combination of the script and how the player (including standouts Socorro Santiago, Dan Domingues, Heather Velazquez, Yunuen Pardo and Marisol Miranda) chose to deliver it. A head nod, a stutter, a dance – there are truly hilarious moments. But when it came time for the dramatic, the show lost all momentum. Another Word For Beauty includes a lot of information about Columbian politics, history and mistreatment of inmates within prison walls. While I think that this mix was well intended, the message came across as muddied. 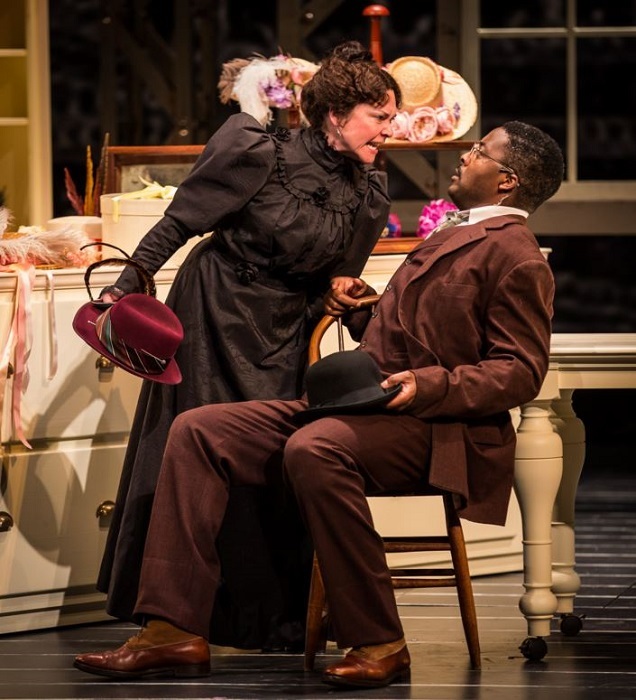 Goodman Theatre: Another Word for Beauty Chicago Review – Another Word for Beauty is playing at The Goodman Theatre through 2/21/16. Tickets can be purchased at a discount through Goldstar or by calling (312) 443-3800. Goodman Theatre is located at 170 North Dearborn in Chicago. It’s time to take a trip this holiday season – back to 1954 to be exact. Drury Lane’s production of White Christmas is like visiting a moment in time that some of us have never experienced and some remember fondly. Where hair was groomed perfectly, dresses floated on air and pinups were voluptuous. Where watching Gene Kelly, Fred Astaire and Ginger Rodgers dance was mesmerizing. And while this script is the same as many other productions that have been performed around the country, I can tell you that this one truly transports you back to White Christmas. Directed by William Osetek and starring Sean Allan Krill, Matt Raftery, Gina Milo and Erica Stephan, Drury Lane’s White Christmas is full of life and nostalgia. Everything down to the hairstyles and undergarments are period, which makes this journey into the past that much more enjoyable and authentic. Mr. Krill as Bob Wallace carries a sincerity that you want to believe in. Mr. Raftery and Ms. Stephan (as Phil and Judy) fill the stage with an energy that is magnetic (particularly when dancing together.) And by the second act, the audience is hypnotized by Ms. Milo’s Betty in a nightclub. 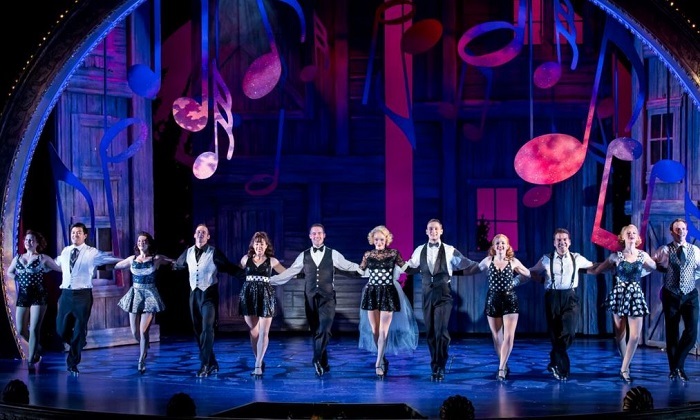 With charismatic and hilarious supporting characters as well as unbelievably talented dancers, this production is a can’t miss. White Christmas is the story two army men, their general and two sisters all coming together to create one beautiful evening. Let Drury Lane’s White Christmas be a beautiful evening for you. 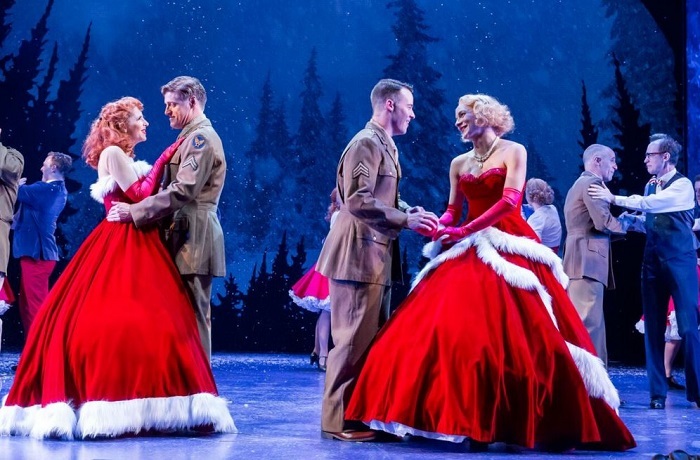 Drury Lane Theatre: White Christmas Chicago Review – White Christmas is playing at Drury Lane Theatre through 1/3/16. Tickets can be purchased at a discount through Goldstar or by calling (630)530-0111. Drury Lane Theatre is located at 100 Drury Lane in Oakbrook. Do you know who you are? Who you really are at the core of your being? When you strip away all of the diplomacy and refinement that you’ve developed over the years, who are you really and what do you believe? 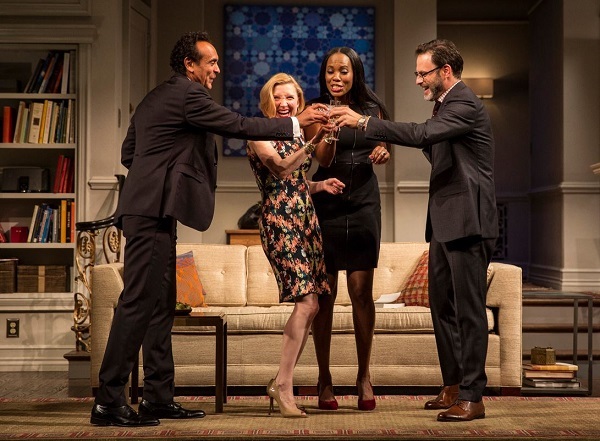 These are some of the questions at the center of Goodman Theatre’s new production of Disgraced. 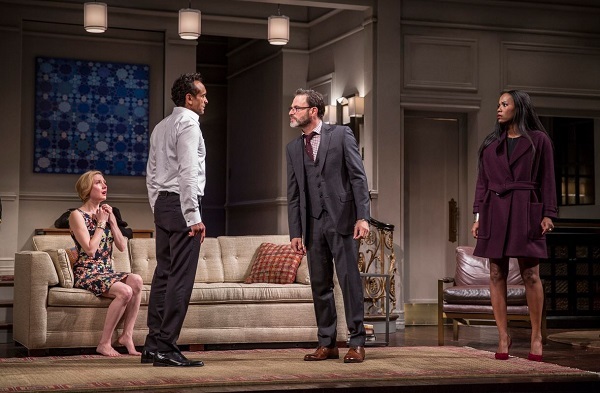 Disgraced is a show with five characters including a Muslim man who is a lawyer, his Caucasian wife, his African American female coworker, her Jewish husband and the lawyer’s twenty-something Muslim cousin. All of the characters are intertwined in a friendly and/or loving way and have a gentle banter throughout the first half of the production. Subjects such as religion, art, politics and beliefs are discussed, but remain on a mostly-comfortable, conversational level. Then things begin to change. Ms. Senior says it better than I ever could, so without giving specifics that will ruin the second half of the play for you, I encourage you to see this penetrating show and let it speak to you about how you identify with yourself. 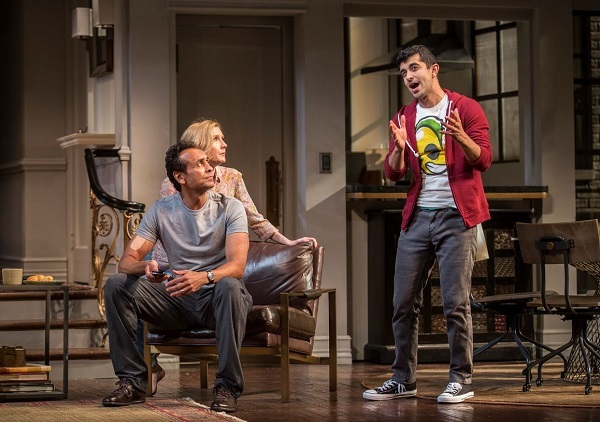 Goodman Theatre: Disgraced Chicago Review – Disgraced is playing at The Goodman Theatre through 10/25/15. Tickets can be purchased at a discount through Goldstar or by calling (312) 443-3800. Goodman Theatre is located at 170 North Dearborn in Chicago.